Graft is a global, open-sourced, blockchain-based, decentralized payment gateway and processing platform that anyone can use. Any buyer and merchant can use Graft in a completely decentralized and inexpensive way. Graft ecosystem is open, so anyone can participate by maintaining Graft blockchain and implementing network services. 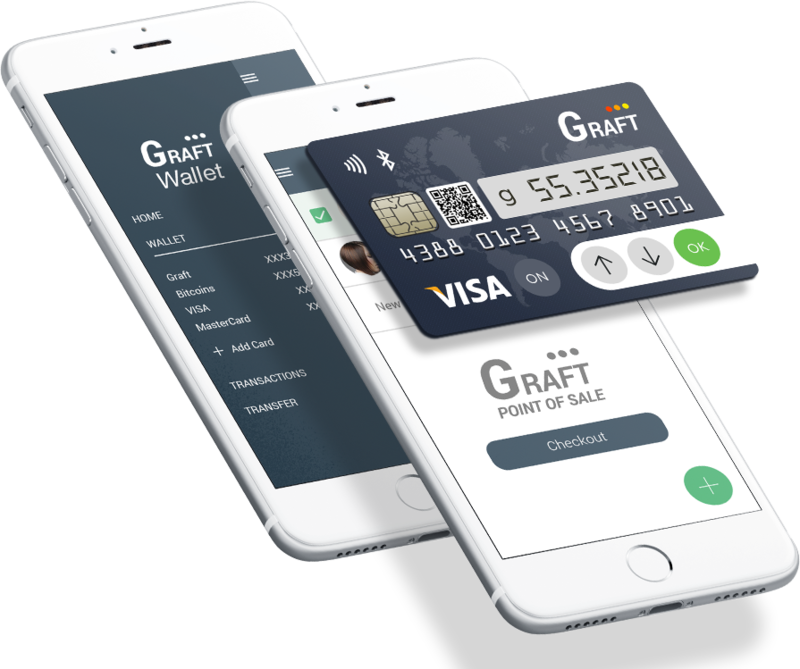 Graft employs payment processing protocols and flows similar to traditional electronic payment systems such as credit, debit, and prepaid cards, which are already familiar to and trusted by millions of users and merchants around the world. This approach enables easier and faster adoption of Graft as a mainstream payment platform, while eliminating the need in centralized intermediaries (payment gateways and processors) currently required to facilitate transactions between buyers and merchants. Multi-currency, cross system wallets. And credit cards accepted too! Founder of BIOMIO - a frictionless universal authenticator and identity verification platform. Built and brought to market over half a dozen products - CRMs, managed digital signage, VoIP API, media player. PhD in Computer science, Vitalius is a highly sought after expert in Machine Learning, Image Recognition, and Blockchain algorithms. Serial Entrepreneur. Lead BD & sales at 4 technology businesses from birth to $50+MM in revenue. Multiple M&A transactions. C-level and GM roles at $100+MM companies.